November brought us many more sporting moments to remember, from invincibilities to turmoil, the emotion, drama and everything else. The penultimate month of the year did not disappoint. 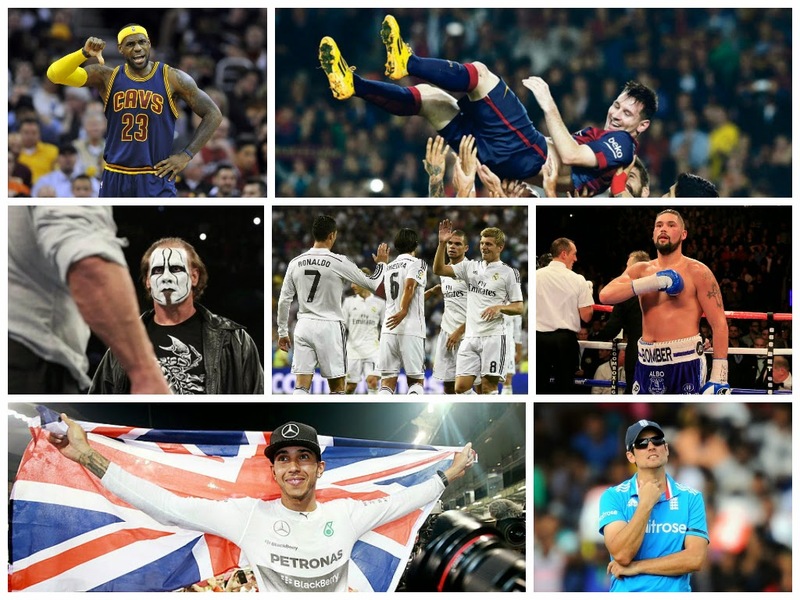 Here, we will take a detailed look at all the sporting action November 2014 has offered, from Messi's record-breaking, to the Authority's demise, Bellew's revenge, Lewis Hamilton's F1 triumph and much more. It was a big month with our coverage here on TSM too, with #TSMLive. An International break may have stopped us from seeing as much club football as desired this month, but there was still plenty to feast on as Messi smashed records, Real Madrid ripped apart their opposition and more. Opening the month would be action from the Barclays Premier League. Newcastle United and their resurrected Alan Pardew stunned Liverpool at St. James' Park. A second half strike from Ayoze Perez secured the victory which began the contrasting crossroads for both sides — Liverpool plummeted to five straight defeats while Newcastle would end up finding unimaginable success. Later on in the day, Alexis Sanchez orchestrated a masterclass for Arsenal while Chelsea continued to race forward. Before another International break beckoned, a terrific weekend was in store. It all started at Anfield, as Liverpool slipped to a defeat against Chelsea. After being put ahead threw Emre Can's long-range strike, Gary Cahill equalised before a second-half goal from Diego Costa saw the title favourites through. Queens Park Rangers put on an incredible resistance effort up against Manchester City, finishing 2-2 on the Saturday night game. Having lost earlier in the week to CSKA Moscow, it was looking gloomy for City. Even gloomier, though, was Arsenal, who lost to Swansea after a late free-kick and Gomis' goal put the Welsh side past. A big Ligue 1 clash saw Paris Saint-Germain fire 2 goals past Marseille at the Parc des Princes, with the International break underway. Kroos helped Germany edge Spain, England overhauled Scotland in an atmospheric Celtic Park and the Messi/Ronaldo debate took to Old Trafford which saw Portugal edge the South Americans — the pick of the International break. Elsewhere in the top European leagues, the Milan Derby ended in a 1-1 draw. Milan were ahead through Jeremy Menez but a stunning response from Obi put the game back on level terms as Mancini's Inter earned a point. In La Liga, Lionel Messi made history with his hat-trick in Barcelona's 5-1 win over Sevilla. He broke and then broke again his own record for most goals scored in the Liga BBVA. Just phenomenal. Records would soon tumble again as Lionel Messi smashed the record for most Champions League goals scored. For the first time in his career the magical Argentine scored a hat-trick with his right foot, along with Luis Suarez skillfully creating his first goal in the Catalanian colours against Apoel Nicosia. Meanwhile, over in the Etihad Stadium, his compatriot Sergio Aguero set the Etihad alight with his hat-trick including a last-gasp goal to steal a win over Bayern Munich and keep the Cititzens' hopes alive. Chelsea demolished Schalke, Atletico rolled by Olympiacos and Ronaldo equalled Raul's goalscoring record too. Liverpool would ultimately slip to a 2-2 draw with Ludogorets in the same week of action. CHAMPIONS LEAGUE WEEK FIVE COVERAGE: Tuesday Roundup | Wednesday Roundup | Schalke 0-5 Chelsea Report | Time For Reds to Replace Mignolet? In the last weekend before December dawned, Real Madrid finished setting a club record of 16 consecutive wins and Pirlo stunned Torino with a last minute wonder goal. We would also like to spare a thought for the family and friends of the Deportivo supporter who tragically died during violent clashes in Madrid. Another month to remember in football. November was an absolute treat for boxing fans. A meteoric showdown in Liverpool, Fury vs. Chisora and more. There was a vibrant atmosphere in the Echo Arena when fierce rivals Tony Bellew and Nathan Cleverly locked horns for a second time. While doing that, it seemed like the Welshman injured his right hand early in the fight, enabling Liverpool fighter Bellew to taker advantage and he did. It was deadlock in the early part of the fight, even with the presumed injury, but The Bomber took full control in the latter rounds. Pounding the visitor with a draining assault on the ropes, the Liverpudlian was unable to knock his opponent down but scored every single round from the 7th to 12th. Furthermore, he defeated Cleverly in a split-decision which saw the cruiserweight finally get revenge on his Welsh-native rival. Manny Pacquiao continued his marvellous winning form as he dominantly dispatched the challenge of formerly unbeaten Chris Algieri to retain his WBO welterweight title of the world. Dropping his opponent on the canvas five times in the fight, Pacquiao looked better than ever as the Philippine continued his quest for a mouth-watering showdown with America's undefeated star Floyd Mayweather. Heavyweight contender Tyson Fury continued his journey to a world title conquest as the British-Irish born fighter retired Dereck Chisora in the 10th round of their rematch in London. Fury boxed southpaw the majority of the fight before dishing out unimaginable amounts of punishment to the point Chisora's trainer Don Charles and promoter Frank Warren put a stop to the heavily one-sided contest. 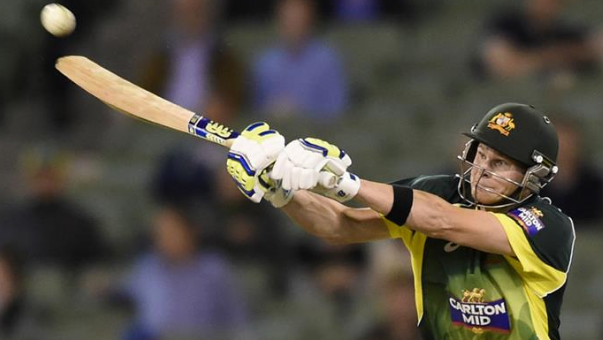 Steve Smith scored the winning century for The Aussies as they eased past South Africa 4-1 in their ODI match series, concluded last Friday. In the first game, Australia drew blood first but South Africa would level the five-match showdown thanks to Morne Morkel's outstanding career best figure of 5-21 as The Proteas toppled the Aussies by 3 wickets in Perth. Initially, the hosts slumped to 98-5, digging themselves into a huge rut but the stunning 121 partnership with wicket-keeper Matthew Wade ensured George Bailey's men would fight back to eventually secure the series win. Bangladesh cruised past Zimbabwe, securing a 3-0 test series win that is only their seventh in history. Day 5, in the morning session, the visitors only required 376 runs with 9 wickets in hand but a middle order collapse saw the hosts nick the series. Zimbabwe lost two wickets in the final over before tea, shattering their chances of victory. Bangladesh took the first match by three wickets, and the second by a comfortable 162 runs in Khulna. Alastair Cook believes that his England side have a legit chance of winning the cricket World Cup next year, and has told people to watch out for The Three Lions when the globe's best clash in what promises to be spectacular series. There was tragedy to end the month also, as young Australian batsman Phil Hughes died in hospital two days after being struck on the head by a cricket ball. Our thoughts are with his family through this difficult time. Novak Djokovic won the ATP World Tour crown as rival Roger Federer pulled out of the final due to injury. Andy Murray would then step in to face the Serbian in an exhibition match, where Djokovic would cruise past the Scot 8-5 to complete his mission of securing the ATP World Tour title. In the Davis Cup, 17-time Grand Slam champion Federer emphatically beat Richard Gasquet, as the Frenchman fell to a straight set defeat of 6-4, 6-2, 6-2. The Swiss-born player paid tribute to fellow compatriot Stan Wawrinka, who knocked off Jo-Wilfried Tsongo. The two would then go on to team up and take the Davis Cup with a 3-1 win over France. From down under, to Brazil and for the first UFC event in Mexico, before back to Texas, the Octagon had a spectacular tour in November. Featuring an interim Heavyweight title bout, a grude needed to be settled, a star's breakthrough and more, it was another to remember in the UFC. A back-to-back fight weekend started in Sydney, Australia as Michael Bisping and Luke Rockhold finally let their fists do the talking. Luke Rockhold scored a second round submission after stunning the Brit in the earlier round to take a huge victory against the gatekeeper of the Middleweight division. 24 hours later and the Octagon was under the lights of the Ginásio Municipal Tancredo Neves in Uberlandia, Brazil. Ovince St. Preux dispatched the home fighter within a minute and catapulted himself well up the rankings. The UFC's hot start to 2014 was also revealed with "The Time Is Now" press conference that you can view below. Another side-note saw Conor McGregor get heated with Sheamus on Twitter. AWe were just a few days into the season when November started. But we learnt surplus amounts of what is ahead for the season. The Golden State Warriors and Houston Rockets exploded out of the blocks with 5-0 streaks, and the Warriors' Smash Bros' received all the plaudits as they carried the Californian-based team forward. LeBron couldn't get going as well as he'd wish at the Cavs, but lets just say the tone has been set. November 2014 will forever be the month that the WWE was propelled into a new era. A stellar performance by lone survivor Dolph Ziggler was thought to be coming to an end when the Authority did all they could to put a stop to it, however when Sting came out and finished off Triple H, it would lead to some sweet, Team Cena. And by the looks of things, that era is well and truly underway. November was quite the month. One more until 2015, and it could be another big one. A full review of November 2014 in sports, from football, to UFC, cricket, NBA, F1 and much more.